I've been internet friends with Jelly and a fan of his podcasts for a while now. I was lucky enough to meet him in person recently and put a face to the voice I've heard so much of. It was kind of bizarre. Since Jelly's work covers a variety of creative pursuits as well as development, I asked him to tell me a bit about how he got to where he is today and what his future plans are. First up, can you tell us who you are and what you do? Mostly, I’m an iOS and sometimes web developer from Canberra, Australia. I’m also an illustrator, designer, podcaster, writer, musician, husband, reluctant cat owner and tech enthusiast, though not necessarily in that order. What does a typical day look like for you now? Is there anything you'd like to change about that? Many days will involve me rolling out of bed at the crack of 9:13am, grabbing breakfast and a coffee, and diving head-first into code. I find I’m most productive if I can get a flow happening early; as soon as I introduce distractions into my mornings, I find myself fighting them for the remainder of the day. Sometimes distractions are inevitable, so I’ll leave open a secondary task in the hope that when I am distracted, I’ll be distracted by other tasks: responding to support requests, sketching out UI concepts, dealing with emails and the like. That said, some days you just gotta let yourself be free, so I might design an emoji shirt for kicks (just did the other week), or play games for an hour or two. Anything I need to leave the house for—meetings, errands, lunches—I’ll try to schedule for a given day in the week. Working alone requires at least some measure of social interaction, so it’s important, but keeping it all in a single day means I can have 4 days free of distractions, and a day where I don’t mind flitting from thing to thing. I’m a night owl, so I quite often return to my office in the evening to finish off anything left over from the day. This might just mean finishing off a code task and committing it, or it might mean sketching ideas out. Nothing too taxing, the idea is to wind my brain up for the evening, and occasionally give it some things to ponder while I dream of rainbow-flavoured toaster ovens. You've used the username "jellybeansoup" for a long time now. Do you remember how you first came up with it? You only need to look at the names of my apps to realise that I love a good play on words. My first memory of that was when our dog had puppies as a kid, and my sister and I named them. My sister named one “football” and I went with “jelly bean soup” because I guess we were kids? Clearly it continued kicking around my brain long after those puppies went on to other homes (with the exception of Football, who was renamed Sleepy, and I’m really not sure why my sister is allowed to name things), because I created a bunch of cartoon characters, one of whom had that same name (he had a brother named Pete Soup, which is totally normal). From there, I guess it was inevitable that it would become my online handle, and eventually the basis for the nickname used by everyone I know, including my wife. How long have you been working on iOS apps? What was your journey like from starting out as a developer to going indie? I started playing with iOS and Objective-C for the first time in around 2009, just after the 3Gs was released in Australia. Progressions, the first app I ever released, hit the app store in late 2010. So I’ve been doing this thing for a while. The journey from there to where I am today has been turbulent, for sure. I’ve made tonnes of mistakes along the way, and I’ve needed to spend time reflecting on my motivations for decisions I’ve made. I had to learn some basic things, like that I couldn’t take every freelance gig I was offered, and that I shouldn’t take the first full-time job that comes along just because I’m concerned about money. Good decisions can only be made if you allow yourself the space to consider the options you have, and I’ve always been one for jumping in the deep end and improvising. Has anything surprised you about going indie? What are the main differences for you, compared to being an employee? Working on your own stuff is immensely freeing. You’re not bound by other people’s requirements, and you’re free to make decisions as you wish. I love this about my work. My projects are an artwork, an expression of who I am, because I’ve carefully designed them, built them, and shaped what they are. Of course, that comes with its own downsides. I’m left with the reins when things go wrong, and when people critique what I’ve created, it can be difficult to divorce myself from my work, and not treat that criticism as an attack on me. Money is also an important consideration. Leaving traditional employment puts you on a path where your finances can and will fluctuate wildly. I’m blessed to have a wife who puts up with (and helps to smooth out) that aspect of our lives, and I work really hard—on both my own projects as well as client gigs—to make sure that we don’t suffer during the lean seasons. All that said, the hardest thing about being an indie is the independence; it’s very isolating. When you’re part of a team, you have people you can call on for advice and to bounce ideas off of, but when you’re by yourself, you can very quickly find yourself being overwhelmed by simple problems. I try to ensure I get plenty of social time, and reach out to people I respect and admire when I need guidance on something. As an indie dev, how do you stay in touch with the iOS dev community? Do you end up spending a lot of time working alone? The most important thing I ever did was start attending the local CocoaHeads meet up. The local group has never been big, usually only a handful of people, but the discussions, feedback and friends I’ve taken from those have been a hugely important part of my career. We would often meet up for a meal, talk about what we’re working on, toss in a little discussion of the latest Apple news and that would really be it. That may not sound like much, but it allowed me access to other developers’ insights, and that’s really invaluable when you don’t otherwise have it. 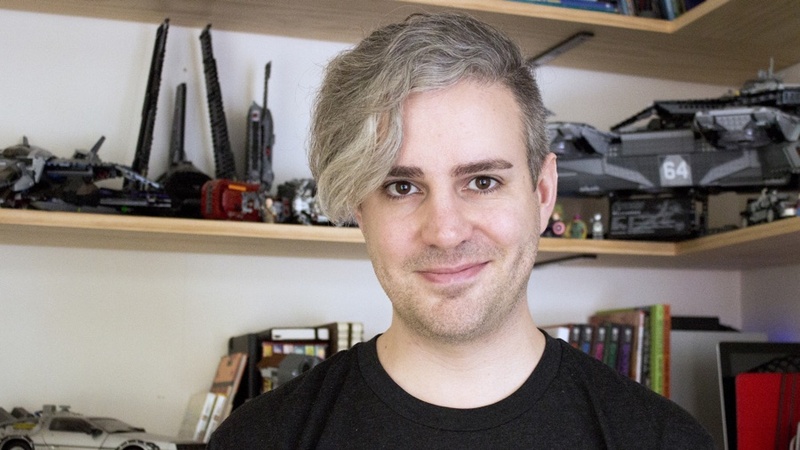 Having made those connections, I now am able to use Slack and similar tools to ask people questions when I hit a wall, which has made my home office less of an isolation room, and more like working with a team… without having to be around people. I'm always on the lookout for more diverse iOS developers to look up to. Do you have any diverse influences in the iOS community that you admire? I’ve mentioned a few times lately that if Erica Sadun suggests that you should do a particular thing in Swift, you should probably listen to her. She’s incredibly smart, deeply involved in the Swift community, and she knows her biz. Rebecca Slatkin is a very funny developer, and though she doesn’t often talk about what she’s working on, she makes for an excellent Twitter follow. She gave an excellent half of a talk at Layers last year, and I’m hoping we see more of her in the future. Linda Dong isn’t a developer per-se (she’s a designer), but she was involved in my all-time favourite WWDC talk, and also delivered an incredible talk at Layers last year. She’s a great storyteller. Aleen Simms knows much of the marketing side of things, and she’s a genuine champion for diversity amongst the iOS community. She tends to make me question some of my white-dude notions, so I’m terribly thankful for that. Yasmine Evjen probably strays the furthest from the question, given that she’s a UX designer, and these days is a design advocate at Google. That in mind, she’s genuinely excited about Android (and burritos), and I like to expose my brain to some outside-the-platform thinking on occasion. You've worked on a few iOS apps now. Where do you usually get ideas for your apps from? I was the sort of kid growing up who spent four hours trying to automate mowing the lawn with ropes and push bikes, even though it would have taken a quarter of that if I just did it in the first place. If something annoys me sufficiently, I’ll try to figure out a way to make it easier for myself. All my apps have a similar story, in that they solved a problem that annoys me enough that I’m “forced” to do something about it. This approach has generally worked for me because other people have had the same struggle, so it presents an opportunity. For example, there was a time when sending GIFs on iOS was really quite a frustrating process. I’d search in Google, then save to Dropbox by saving to Photos first and exporting it, which would allow me to get a link to share. So I created an app called “QuickGIF” which showed me a bunch of images I had in Dropbox already, and that eventually turned into GIFwrapped. The most important factor is honing the idea, though. I toss a lot of them because I’m not going to be able to solve the problem in a better way than existing solutions—ropes and push bikes aren’t exactly going to solve my lawn-mowing woes—so it’s not really worth wasting the time. You do lots of other creative work besides programming—writing fiction, illustration, podcasting, even creating a webcomic. How do you balance all these pursuits? Do they affect each other? I balance them… carefully. Really it just involves learning to say no to certain things (which is harder than it sounds, trust me, I'm the worst at it), and in some cases just giving a passion project ten minutes when you can find it. I can't necessarily accomplish everything I want to do—there just isn't time to do it—so instead I try to inject opportunities into my daily work where I can. I've done a lot of illustrations for my various podcasts over the years, and I try to stick at least one illustration into every app I make (the animated one for Other is especially great). I like to make a big deal of writing my release notes for GIFwrapped, adding some fun and whimsy to make them entertaining as well as informative. Podcasting is a little different, in that it demands a certain amount of time and preparation, I can't record one on the couch while watching TV with my wife like I can with illustration or writing. That said, it's incredibly important to me because it's been part of my attempt to feed back into the community: to learn, to teach, and to interact with people. I'm happy to spend that time because I know it's not wasted. You've done a lot of podcasting in the past. How do you think that's changed your experience of being an indie developer, if at all? Podcasting, and Mobile Couch in particular, affected my development work in a number of ways, some of which aren’t immediately apparent. Obviously, part of that was that it gave me a platform, and made me more visible as a result, but that’s honestly the least interesting thing I took from the experience. The best thing was that it connected me with the greater iOS development community, and allowed me access to people I wouldn’t otherwise have met. Our guests taught me so many new things—from functional reactive programming, to working with fastlane—and my co-hosts taught me a lot too. Ben, Jake and Caleb are all incredibly talented developers. Is there anything else that's surprised you about your career in general, that you didn't expect? Honestly, the very fact I'm doing this at all is the most surprising. When I left school, my intention was to study film production and to become a director and screenwriter. I was doing a media production course here in Canberra, and doing a little web development on the side. It wasn't until after I dropped out of that course that I even considered that I might build software as a career. Even then, it’s surprising to me that I’ve managed to build what I do into any sort of successful venture. It doesn’t always feel that way, but I’m incredibly blessed (and privileged) to be doing what I am today. We like to ask everyone what "making it" means to them. What does it mean to you? Do you feel like you've made it already? I likely don’t fall into most people’s idea of successful when it comes to indie developers. I subsidise my App Store take with freelance work, and while I do have one oddly successful app, it’s by no means world-changing. I get to work on my own stuff, and when I’m not, the work is at least interesting. I get to do it from my own space, (mostly) according to my own schedule. I’ve made a number of amazing friends through the projects I’ve done, and I can blow off some time when I feel like it to have lunch with my wife. As far as I’m concerned, I’ve made it. Thanks for joining us, Jelly! You can learn more about Jelly and get in touch with him on Twitter or on his website.